Look at my blue ballon. 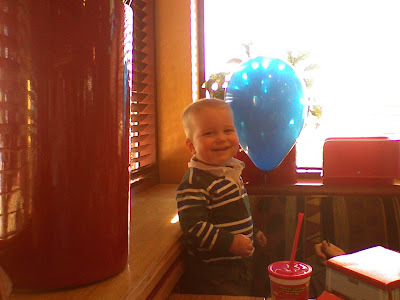 Grandpa gave it to me so I would sit still and eat my lunch, but I was so excited about the ballon all I did was play with it. I forgot to eat.